News that drinks manufacturer Lucozade Ribena Suntory is redesigning its Ribena bottles to make them more recyclable has been welcomed by The Recycling Association. 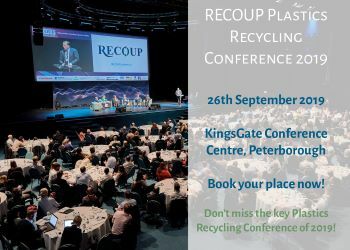 Recycling charity RECOUP has announced that it is promoting and supporting an award at the Plastics Industry Awards 2019. George, the clothing and homeware division of retailer Asda, has announced that it will sell products made from recycled plastic bottles and clothing.